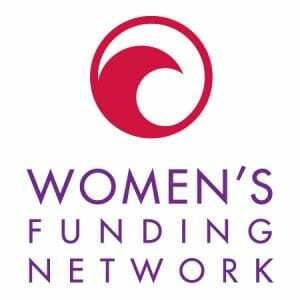 Despite an increasingly hostile climate for women and girls in the United States, with access to reproductive services being cut and campus sexual assault policies being rolled back, a partnership of women’s funds that started during the Obama administration is continuing to grow and deploy needed funds to grassroots organizations. 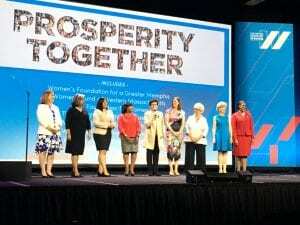 Now, the Partnership for Prosperity, a network of 32 women’s funds and foundations located in 26 states, has announced that they have already invested $58.4 million in their first two years. The Partnership’s commitment is to invest $100 million in 5 years, so they are already ahead of schedule with their funding of community organizations around the country. According to a press release about the Partnership, in Year One (2016), Prosperity Together partners invested a collective $29,170,427. In Year Two (2017), partners invested $29,251,072. This means that 1,022 nonprofits received funding and 137,153 women and girls were impacted across 26 states and the District of Columbia. You can visit Prosperity Together’s website to see the report. The Women’s Fund of Rhode Island is one of the partners in Prosperity Together, and as it happens, my husband and I attended a very thought-provoking event they held last evening in our neighborhood, at a local nonprofit cafe and theater called Theater 82. Here in Rhode Island, the Women’s Fund of RI (WFRI) is doing some amazing grantmaking and collaborating with the community. Their work has a huge impact both for women and girls and for society in general, such as their collaboration with legislators and advocates to pass the Healthy and Safe Families and Workplaces Act, which enables 45,000 low income workers to earn up to three paid sick days per year. WFRI grants about $50,000 a year, which is not nearly enough grantmaking (in my humble opinion) for such an impactful approach. That’s why they need more funding! Funders take note: Because Rhode Island is the smallest state, is a great state for lab testing new interventions for gender equality. If more funders took an interest in funding gender equality in Rhode Island, we could likely test out important policy initiatives that could then be scaled up to create social change in other states. Visit the Women’s Fund of Rhode Island’s website to learn more about how you can get involved.